If you were to take a survey asking people what their favorite meal was, most would likely say breakfast. There’s just something good about breakfast. Maybe it’s the fact that breakfast has a lot of variety, offering both sweet and savory options. No matter the reason, the fact remains that breakfast is just good. And there are plenty of great breakfast spots in Bend, Oregon. From pastries like the Ocean Roll – born in Bend’s Sparrow Bakery – to the smothered biscuits of the Spillway at Bad Wolf Bakery & Bistro, there is something for every palate. 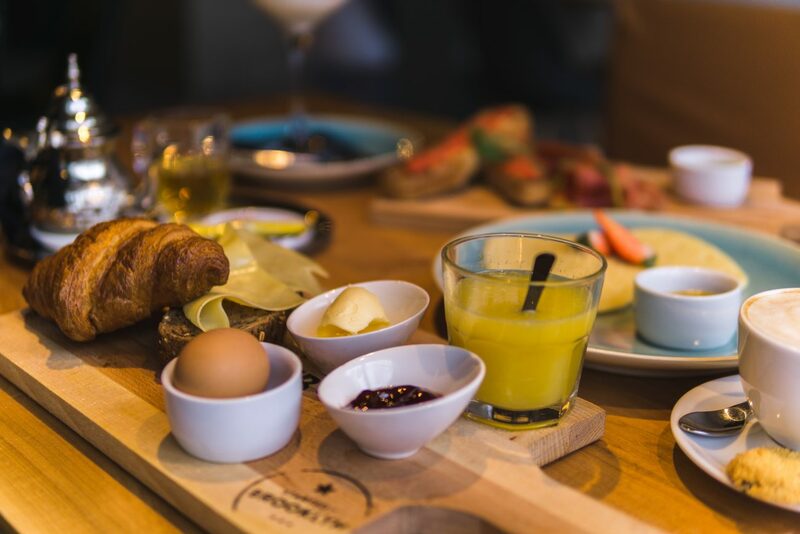 Though there are more places than this in town, these are the top ten breakfast places in Bend, Oregon. 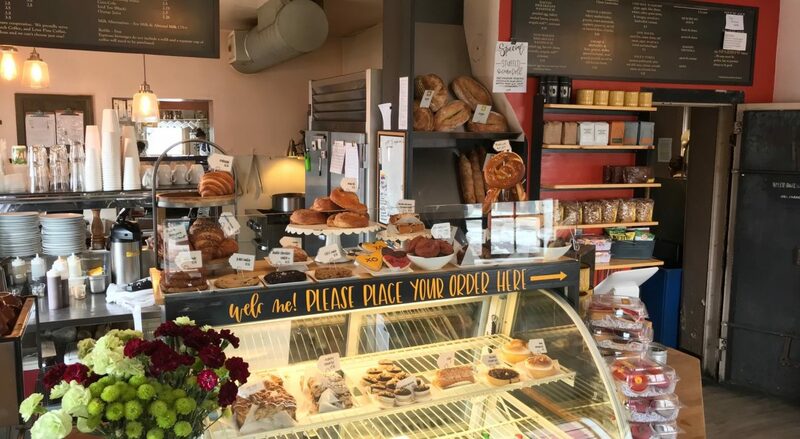 Find out more about the best Bend bakeries and check out our favorite coffee shops in Bend as well. Home to the infamous Ocean Roll, Sparrow Bakery is top of our list for must visit breakfast places in Bend. The flaky, cardamom spiced breakfast treat is a favorite of both locals and visitors. If you want to visit the original store, their Scott Street location is small but cozy. The shop first opened in 2006, but they have since expanded to a second, more spacious location at Northwest Crossing. Both locations offer an inviting atmosphere and delicious menu, including a variety of baked goods, sandwiches, and seasonal soups. Open year round, CHOW is a family-friendly eatery that offers full breakfast (and lunch) specials from open to close every day of the week. They also love creating the perfect atmosphere and menu for your private dinner or special event. They have indoor seating during the fall and winter months and outdoor seating in spring and summer – and whenever warm weather permits. Outdoor seating also invites your four-legged friend to come and enjoy the nice weather and good vibes with you. The menu – focusing on simple food and local ingredients – caters to all dietary needs or preferences. Find vegetarian and vegan options as well as gluten-free. For those who need to know exactly what they are eating, Jackson’s Corner has you covered. Their menu is created with local, humane, and organic foods, so you know you are eating the best quality food available. They are completely transparent when it comes to the ingredients they use and where they come from, providing a complete list of the farms they work with. In addition to fresh, local ingredients, they also accommodate various dietary restrictions and those with food allergies as their menu includes gluten-free, dairy-free, vegetarian, vegan, and Paleo options. They have two locations in Bend, the original Eastside location on Cushing Drive and the Westside expansion on Delaware Avenue. Both offer an inviting, cozy atmosphere and friendly faces from the moment you walk through the door. McKay Cottage Restaurant may have only opened in 2010, but they definitely have a timeless feel thanks to the history in the building itself. The restaurant is nestled in an old 1916 craftsman bungalow, giving it an old world feel with a modern menu. 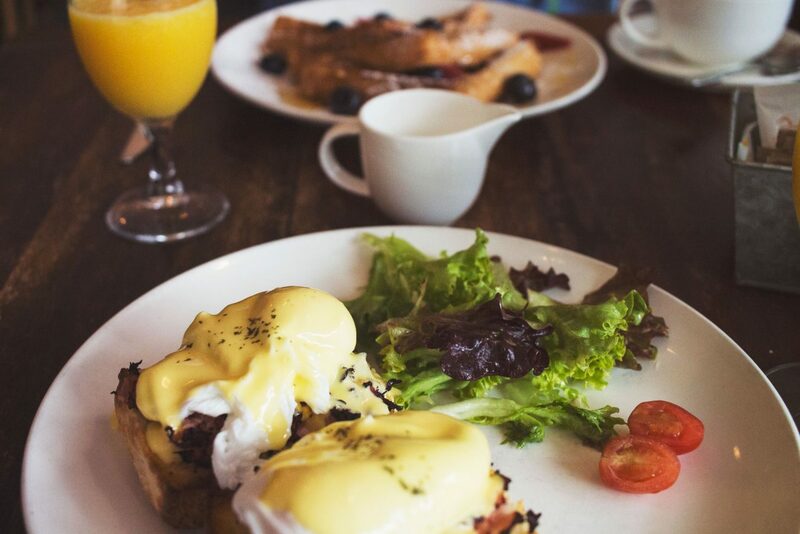 Every year since they first opened their doors, McKay has been voted by locals as the best breakfast in Central Oregon thanks to their fresh ingredients and delicious specials. The Cottage Potatoes are a must try if you are looking for pure comfort food, complete with eggs, bacon, ham, tomatoes, green onions, and tons of cheddar cheese. Offering great tastes from around the world, The Lemon Tree provides a unique dining experience that makes you feel like you are on vacation. Enjoy dishes inspired by the most exotic places, including Indonesia, Tunisia, Greece, and Italy. More than just breakfast, The Lemon Tree also has incredible desserts. Be sure to try the local Pacific Northwest flavor of the Cardamom Crème Brûlée. They also have a full bar – and wine list – with signature cocktails, including one named for the restaurant itself, made with muddled raspberries, house made lemonade, Tito’s vodka, and prosecco. Named after the town of Sintra in Portugal, this restaurant pays tribute to the culture of Portugal both in flavor and atmosphere. It is the perfect place for friendly gatherings or to simply stop by for a quick espresso or cocktail. Most of their breakfast dishes are of the savory variety, served with Sintra potatoes and a European type of toast. The Sintra Benedict comes highly recommended thanks to its fresh ingredients and the unique twist with the addition of signature chipotle sauce in place of hollandaise. Home to Bend’s best Bloody Mary, Victorian Café is another place that has been serving some of the best breakfast in Bend for over 30 years. In fact, it has been voted Best breakfast in Bend 15 times! Dining at the Victorian Café is a whole experience in itself. You may have to wait a bit to get a seat, but you won’t mind so much thanks to their comfortable outdoor waiting area, complete with seating and fire pit. You can even enjoy a drink at the outdoor bar while you wait. They offer some great dishes made with meat and eggs, but their vegetarian Huevos Rancheros are to die for, a must try for carnivores and vegetarians alike. Nothing feels more American than a cute little breakfast diner, and that’s what you’ll find at Birdies Café. They offer a variety of classic breakfast and lunch diner-style foods, including eggs, toast, bacon, sausage, omelets, and waffles. There are still some unique dishes at Birdies that cannot be found anywhere else, like the Carolina Pulled Pork Benny, a slightly southern take on chicken and waffles. Or you can try the Texas Style Huevos Rancheros – eggs with corn tortillas, cheddar cheese, salsa, and Ranchero sauce, complete with beans and rice. No matter what you get at Birdies Café, you are sure to leave with a full belly and a smile on your face. Though it’s called the Original Pancake House, the one in Bend is not the “original;” it is pretty close though as the first opened in Portland in 1953. All of their dishes are made with the finest ingredients, including 93 score butter, 36% whipping cream, and grade AA eggs. Their signature breakfast item is the Apple Pancake, a single large pancake smothered with sautéed apples and cinnamon sugar, and it is sure to satisfy anyone’s breakfast sweet tooth. You may also want to try one of their unique omelets, gourmet crepes, or the Dutch Baby with a signature cup of coffee. All day brunch. Seven days a week. That is what Bad Wolf Bakery & Bistro is known for. That and their fantastic food, made from scratch and fresh every day. There’s something for every palate on the menu. If you’re craving something sweet, you have to try the cardamom waffles accompanied by vanilla bean yogurt and fresh fruit. For those who prefer a savory breakfast, the Spillway – a fresh buttermilk biscuit with fried chicken and scrambled eggs, smothered with pork sausage gravy and white cheddar cheese – is a must try. Grab a gigantic Bloody Mary, made with a tone of house-pickled and fresh vegetables to go with your meal. Or you can just stick with a classic cup of coffee, tea, or juice.